So I got to looking around at what is available in RWD V8 sedan goodness. Because this is TTS, and we are by our very nature cheap bastards, I’m looking at cars that can still be found in good shape with at least some modern accoutrements and for less than $7,500. I have to tell you, it’s not a long list, but I’d have any of them in a heartbeat, condition depending, of course. I make no representation as to the cost of ownership for any of them. That’s a Pandora’s Box I dare not open. 1. 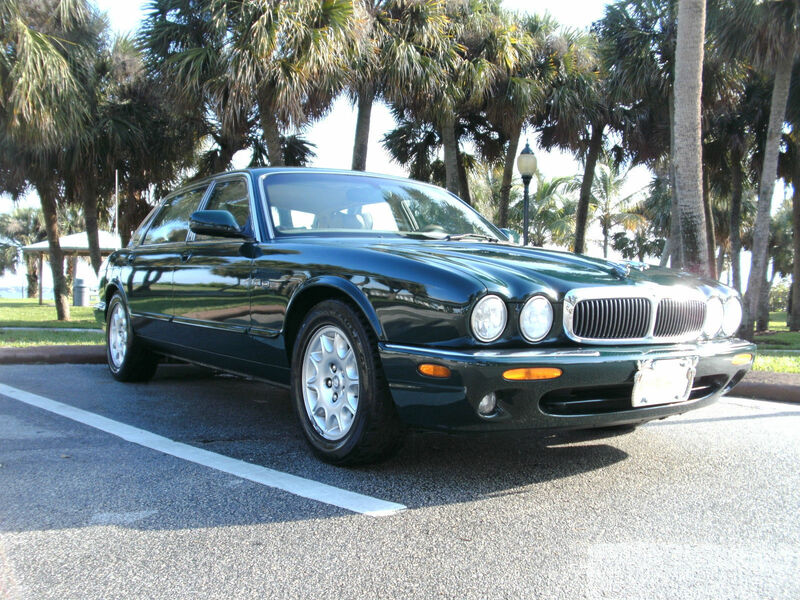 1998–2003 Jaguar XJ8 – After the catastrophic XJ40 unleashed on the world in 1987 (1988 on these shores) the new Jaguar sedan was a godsend. The styling hearkened to the XJ40’s predecessors with curved fenders and fared-in round headlights, the interior lost the crazy complex Lagonda-esque driver’s control array in favor of a more conventional arrangement, and best of all, Ford’s ownership translated into a modicum of reliability where there was little to none before. The new model came first with a variant of Jag’s venerable inline-6 cylinder, but just a few years into production they rolled-out the V8-powered XJ8. If you like the outside, you’ll love the XJ8’s interior, especially in Vanden Plas trim complete with leather, wilton wool carpeting, and even wooden tray tables for back seat occupants. Add heated seats, climate control, and power everything, and the Jag is a downright pleasant place to be. Now, thanks to decades of the company’s poor reputation for reliability, XJ8’s can be had for a song. That’s right, for the price of a used and abused Civic you can be cruising in the lap of English luxury. This 2001 example on eBay with no reserve in Stuart, Florida with a replacement engine 30,000 miles ago could be a steal, depending on where the bidding goes. 2. 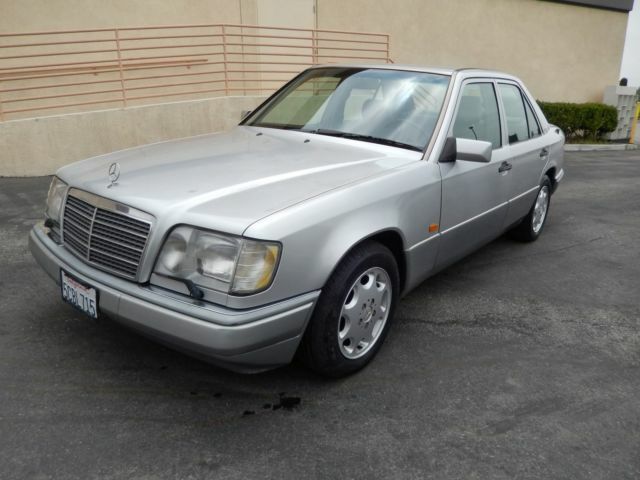 1992-1995 Mercedes-Benz 400E/E420 – The logical Mercedes sedan to include on this list would have been the W140 S-class, and it certainly fits into the group from both price and equipment standpoints, but having owned them I just can’t in good conscience do that to you. Mercedes’ W124 mid-range series V8s are better cars than the 140s in just about every way, excepting overall space. They were engineered before the company adopted a planned obsolescence marketing strategy, which is to say that they’re designed and built to last forever given regular maintenance, of course. If price was no factor then I would steer you to the joint Mercedes-Porsche five liter variant, but the good ones will cost at least an extra $7.5K over our budget, so instead look at the only slightly less-powerful 4.2 liter version. Handling is sure and solid, although the cars do feel heavy in the way that Mercedes do. You’ll rarely find yourself wanting for more speed than these guys can deliver, and you still get all the power goodies you could want – although cold-weather package cars with seat heaters and headlight wipers can be a little elusive. What you get in any case is proper, upright Mercedes styling complete with the star where it should be on the hood (as opposed to integrated into the grille), classy, classic, yet functional wood and leather trimmed interior, and the old vault-like thunk of the doors that we just don’t get anymore. And it’ll do 150mph all day long. Hello, Autobahn? This looks like a very nice low-mileage example on eBay in Ontario, CA with a low buy-it-now price of $3,999. 3. 1997-2003 BMW 540i – There is a lot of debate among the TTS team about which is better: the E34 or E39 5-series BMW. I favor the later car due to the styling, the performance, and the fact that BMW spent something like $2 billion getting them right. I also think they’re aging better than the E34s and it’s my article, so there you go. I will say that BMW discovered a heck of a formula with the V8-powered E34s in both 3- and 4-liter stick-shift versions. Those were great cars, and definitely worthy of consideration if that’s what you like in your middle-aged bimmers. The E39 upped the game with a sleeker shell and cabin. My compadre tells me that the 1997 is the E39 540i to get because it doesn’t have the complex double VANOS variable valve timing of the later cars due to potential maintenance issues, but because I’m pretending that maintenance is a non-issue here I’d go for one of the last of the breed. The Alpina-esque multi-spoke wheels or M-tech twin spokes suit the car much better than the strange early rims, and the later “angel eye” headlights and clear turn signals do update the car substantially. While the Mercedes is a great highway mile chomper, the E39 manages both the highway and the backroads with equal aplomb. I’ll take mine in silver on black leather, thank you, and with the optional bunwarmers and rear shades. Just because. (Also consider 1988-2001 E32 and E38 7-series, if you crave size but can live without the manual). 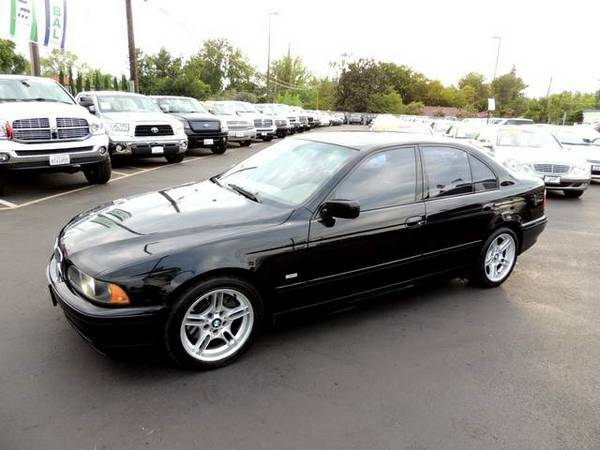 Here’s a pretty 2001 6-speed on Craigslist in Sacramento, CA for just $6,988. 4. 1989-1994 Lexus LS400 – We older folks can remember a time not that long ago when you just didn’t use the words “Japanese” and “luxury” in the same article, much less linked together. Nope, Japanese cars were for those focused almost singularly on price. Or reliability. Or both. Then Honda said “Acura” and people started to take notice, especially when the Legend coupe came along, but alas they were still 6-cylinder and front-wheel drive, making them really quite brilliant Accords. Then came Toyota with their Lexus, and the landscape changed forever. But Lexus (Lexi? Lexum?) are boring, right? It depends. As we’ve talked about a lot lately, part of the TTS philosophy is that we can have fun driving just about anything. And I happily include the original LS400. First, I think this car has some sort of place in the automotive hall of fame having introduced the whole Luxo-Japanese genre. Second, they’re really quite good cars. They’re a little too quiet, but that’s probably nothing that an aftermarket exhaust couldn’t solve, although it would be a shame to replace the OEM stainless steel system that is probably still just fine. Regardless, the car gives you the right shove in the pants that a proper V8 should, it’s rear wheel drive ONLY, and it can be had with just about every creature comfort you could want. The one to look for has the air suspension, traction control (defeatable), and seat heaters (yes, it’s a thing with me). Quick story: when shopping to replace his W126 Mercedes my dad and I first drove a newer W126 V8 and then the LS400 we’d heard so much. He’d loved the old Mercedes, but here he just said “No comparison” – and he wasn’t favoring the Merc. That Lexus was a great car. This one on Craigslist in Phoenix, AZ for just $3,000 doesn’t look too shabby, either! 5. 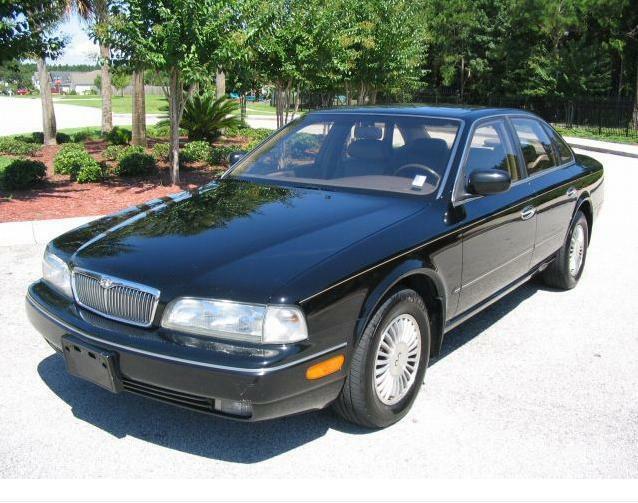 1990-1996 Infiniti Q45 – Early on the motoring press likened the Infiniti Q45 as BMW to the Lexus’s Mercedes – that is to say the Infiniti had the sporting edge where the Lexus was more about luxury, refinement, and consuming as many highway miles as you could throw at it. Coincidentally around the same time my folks bought their first Lexus, TTS-partner Jonathan’s folks picked-up a then-new Q45a – a for Active Suspension. I happened to be there the day they brought home the test car, and it really did have a punch lacking in the Lexus, amplified by pressing one little button: TCS OFF. With the traction control disabled the Q45 could light-up both back wheels with the best of them. The Q45-BMW comparisons don’t stop at driving dynamics, however. Inside the car you are met with a distinctively Japanese-feeling interior, but with clearly sporting intentions with bolstered front seats, a rear seat meant more for two than three also supportive in all the right places, and a console tower oriented toward the driver a’la BMW. The biggest problem with gen 1a and 1b Q45s is really down to finding a good one. Too many Q45s have been ridden hard and put away wet, but if I found a nice, clean low mileage example I could definitely be tempted. Check out this clean but long-miles example in Glendora, CA on Cars.com for just $3,588. Assuming you can shoulder the fuel bills and the potential maintenance pitfalls that any of these cars represent, any of these cars could the V8 RWD driving experience that is fast becoming just a memory. 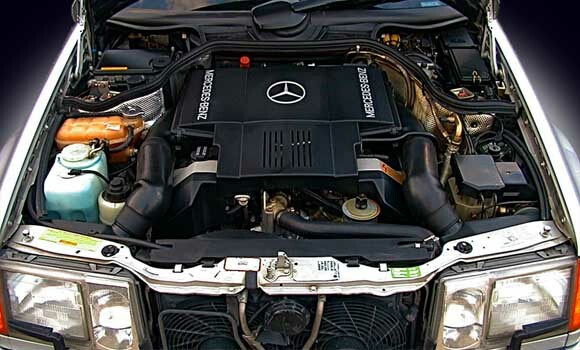 Other reasonably-priced V8 sedan candidate worth considering, depending on your pain threshold, would include the 1997-2003 Audi A8, 1988-2001 BMW 7-series, 1997-2009 Mercedes E-class, and 1981-1999 Mercedes S-Class. Now, if you can spend just a little more you can get into M5, E55, and XJR super sedan territory, but that’s an article for another day…. This entry was posted on Friday, February 28th, 2014 at 11:11 AM	and tagged with Acura, Audi A8, BMW 7-series, BMW E39, British Cars, Cheap V8s, E420, E500, E55 AMG, German Cars, Infiniti Q45, Jaguar XJ8, Japanese Luxury Cars, Lexus LS400, Mercedes W124, Mercedes-Benz S-class, V8 Saloons, V8 Sedans, XJR and posted in Commentary, Totally That Stupid. You can follow any responses to this entry through the RSS 2.0 feed. 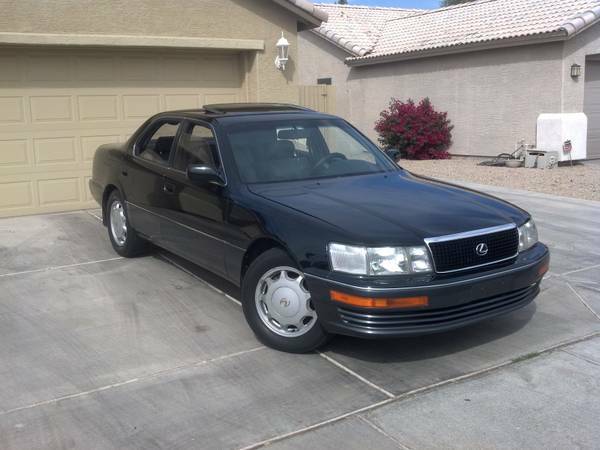 LS400: Go for the 98-00’s. 300HP and 5 speed auto in the last of the 1st Gen bodies. Possibly over your $7500 limit, but worth it. Early Q45: Tiny trunk. Why? E34 vs E39: E34 all day long, on styling alone.